Through grant funding from the YMCA of the USA and the Center for Disease Control and Prevention (CDC), the Alliance built the Safe Routes to School Student Ambassador Pilot Program. 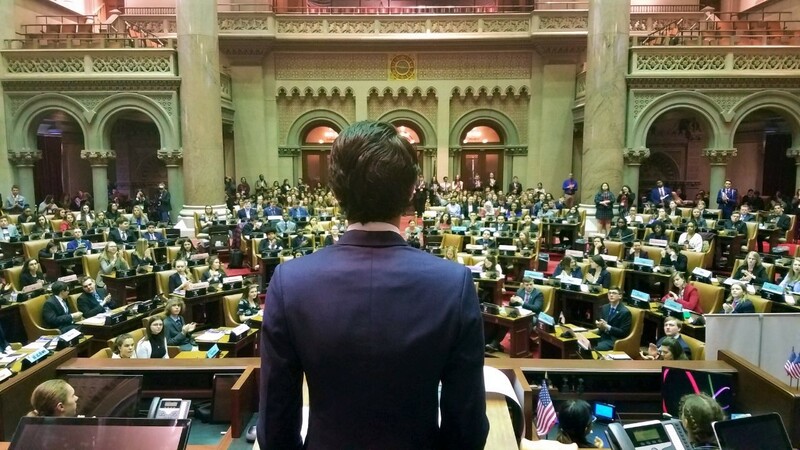 Take a glimpse into the contagious passion that our Youth and Government teens have for learning how to affect meaningful change. The Alliance of New York State YMCAs is comprised of 39 independent Ys and more than 135 YMCA branches. Karen started working with the Capital District YMCA in 2016 after having her own successful in-home daycare. Karen told us she was introduced to the world of summer camp that year. Featuring nine YMCA branches, the Alliance and Cantaloupe.TV traveled the across New York State in search of understanding just how great of an impact the evidence-based program had on those who have participated. Engaging Public Officials at Your Y!